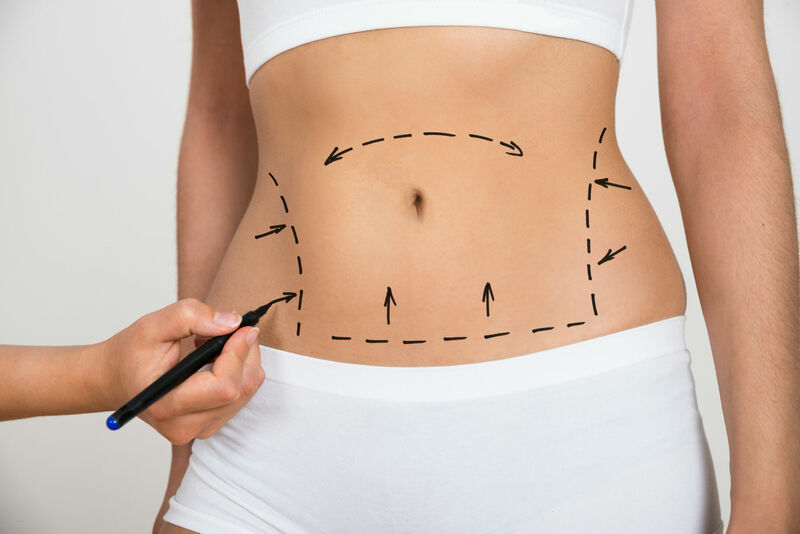 If you’ve recently lost a significant amount of weight (either from pregnancy or a weight loss program), you are likely to end up with some loose abdominal skin. This can be frustrating to deal with, as a loose skin is unattractive and can sometimes be accompanied with stretch marks or cellulite. The good news is tightening loose belly skin is now possible even without surgery. If you’re struggling with sagging skin around your abdomen, you might want to consider these tips to improve your skin elasticity and reduce the appearance of loose skin. Fill your diet with food rich in Vitamin C such as citrus fruits, kiwis, broccoli, and green and red peppers. These assist in the formation of new collagen, which is beneficial for skin tightening. Protein-rich foods, including milk, tofu, fish, and beans also contain elastin- and collagen-forming components that can keep the skin plump and elastic. Healthy fats also assist in collagen formation, while lo increasing skin moisture. Good choices include avocado, nuts, olive oil, and fish in omega-3 fatty acids such as salmon, herring, and mackerel. One important component of maintaining skin elasticity is hydration. Be sure to drink at least two liters of water (eight to 10 glasses) daily or more depending on the weather conditions and your level of physical activity. This helps moisturize skin on a cellular level, which then plumps up the skin and give it a youthful glow. It can help also reduce the appearance of wrinkles and sagging skin. Be sure to avoid fried and processed foods, as they are high in calories and contain trans fats, which are associated with belly fat. The same is also true for alcohol, which can contribute to beer belly and slow down weight loss. Frequent consumption of alcoholic beverages can also put additional stress on your liver and negatively affect the way your body stores and metabolizes fats and carbs. Other triggers to avoid include soda, sugary beverages, and those high in artificial sweeteners. It is best to drink water or other healthy drinks like green tea and vegetable juice. As loose and sagging skin may be due to reduced body mass (weight and muscle), it is best to add some workout routines that can tighten up your body. Resistance training is a great choice, as it can increase lean muscle mass, while also helping you create definition in your abdominal muscles. Core-strengthening exercises are also beneficial in giving your abdomen a more toned appearance. These include squats, planks, deadlift, bench press, bicycle crunches, and wood chops. You might also want to add more difficult or higher-intensity workouts to your routine to keep you motivated and tighten loose skin faster. Exilis Ultra is an FDA-cleared skin tightening procedure that can lift the skin, kill fat cells, and stimulate collagen production. It combines the power of radiofrequency and ultrasound energy to tighten loose skin and contour skin tissues. Exilis Ultra also comes with two unique applicators: small and big. This is to treat and target different face and body parts that require tightening or contouring. These include the abdomen, arms, and thigh, as well as cheeks, lower face, and neck. One great thing about Exilis is that it offers jaw-dropping results without pain, side effects, or an extensive recovery period. This only means that you can immediately resume normal activities directly after the treatment. While many patients notice improvements after just one session, results can be seen at least after four to eight sessions. Note that this will still depend on your individual profile and the area to be treated. Say goodbye to loose belly skin with the tips mentioned above. You can also contact Cutis Laser Clinics today and schedule a consultation with our Harvard-trained doctor, Dr. Sylvia Ramirez, to find out more about Exilis and other non-invasive skin tightening procedures.